When it comes to writing your resume, size does matter. Resume experts weigh in on how many pages your resume should be, based on your level of experience and occupation. So, what’s the middle ground for writing your resume? While there’s no hard-and-fast rule, says Kim Isaacs, a nationally certified resume writer and director of ResumePower.com based in Doylestown, Pennsylvania, your industry and level of experience can help you determine if your resume should be one or two (or more) pages long. The one-page resume is ideal for entry-level workers, new college graduates, and those who have a few years of work experience, Yang says. Additionally, you should consider a one-page resume if you’re looking to make a career change and don’t have much experience relevant to your new goal. “The quicker you can get to the point, the better,” Isaacs says. Hiring managers are busy people, sometimes having to sort through hundreds of applications. “You get about six seconds of their attention when they’re making their initial fit-or-no-fit decision,” says Jessica Holbrook Hernandez, president and CEO of Great Resumes Fast in Callahan, Florida. So, how can you make good use of your resume real estate and really stand out? By being strategic with keywords, quanitifying your achievements, and, most importantly, keeping it concise. This way, your resume will make a good first impression on the recruiter, as it typically serves as your first point of contact when you apply to a company. Not to mention, a resume that’s all over the place doesn’t say much about your organizational skills, does it? That doesn’t mean you have to cram all of your experience on one page with a teeny tiny font that you need a magnifying glass to read. Readability and overall presentation need to be factored in, too. 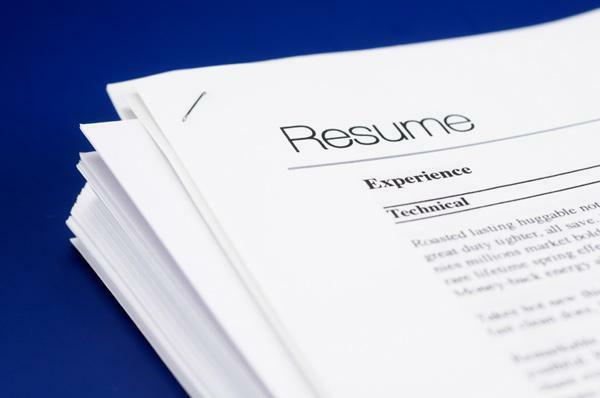 “Most resume reviewers would rather read a well-laid-out, easy-to-skim, two-page resume than a one-page resume that jams too much information on the page,” Isaacs says. A two-page resume makes sense for many job seekers, especially those who are further along in their career, with 10 or more years of relevant job experience. The extra page may be needed to convey all of the critical information an employer needs to know, Holbrook Hernandez says. Keep in mind, however, that the second page likely won’t get as much attention as the first, so it’s best to make sure you’re using the right resume format (think: chronological vs. functional). Most people believe resumes should fit on two pages max, no matter how long you’ve been working. However, as with all rules, Yang says there are some exceptions. For example, if you work for the federal government; you’re a senior-level manager with a long track record of accomplishments; or you’re writing an academic CV for a research or scientific position and have an extensive list of publications, speaking engagements, professional courses, licenses, or certifications; then you may need to extend your resume to three or more pages. In the end, the length doesn’t matter quite as much as the content filling the pages. If you can capture your qualifications on one page, great. But if it takes two pages or more, that’s OK, too. “I’ve had new grads do well with two-page resumes and top executives do well with only one page,” Isaacs says. Once you’ve nailed down the right length for your resume, visit Monster to see who’s hiring. We get it; it can be tricky writing a professional resume that covers all your stellar qualities. Remember, the stronger your resume is, the greater your chances of scoring interviews and landing a job. Could you use some help putting together an awesome resume? Get a free resume evaluation today from the experts at Monster's Resume Writing Service. You'll get detailed feedback in two business days, including a review of your resume's appearance and content, and a prediction of a recruiter's first impression. Let us help you put your best foot forward as you embark on the job search journey.